International Business Coach, Tamiko Cuellar, will be in Cape Town this November (more details to follow) to deliver a keynote address and host a FREE business workshop and book signing to emerging businesswomen. We ask her a few questions about her life, business, and contribution to Africa. 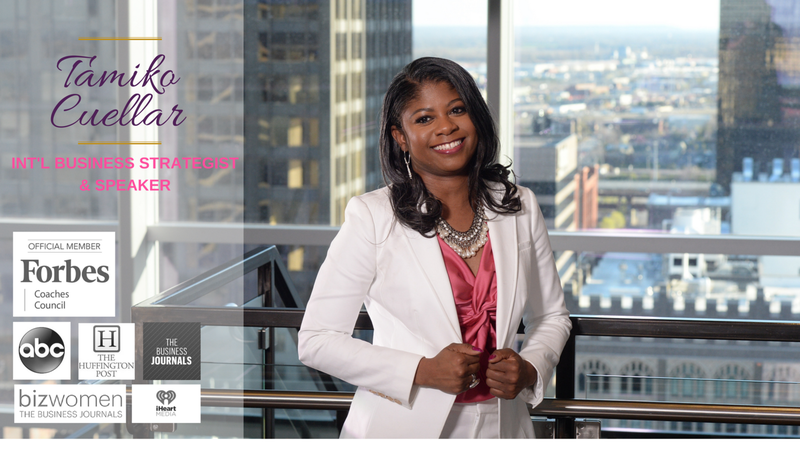 Tamiko Cuellar is the CEO and Founder of Pursue Your Purpose. She is a proven leader in the marketplace among small business owners globally. Recognized for her leadership abilities, she has been invited to speak at corporations, churches, conferences, on several radio and TV programs, and more. She has been featured on Forbes.com, in The Huffington Post, and on the cover of the UK-based Small Business Owner Magazine for her work with entrepreneurs. In 2016 she was recognized by The Women’s Business Journals as a Woman on the Move. She also served as an Adjunct Professor of Entrepreneurship/Small Business Management at City Vision University. In 2016, she was appointed as a Mentor to emerging entrepreneurs in Kenya and Uganda as part of Tony Elumelu’s Entrepreneurship Programme which funds and develops new enterprises throughout the continent of Africa. She is also a member of the Forbes Coaches Council and the National Association of Professional Women (NAPW). My journey as an entrepreneur started about 12 years ago while I was still working in my corporate career in the financial services industry. I’ve been a freelance consultant for foreign entrepreneurs wishing to enter the U.S. marketplace, I’ve run a tutoring business for elementary students and I was co-owner of a roofing and construction company prior to starting Pursue Your Purpose LLC in 2012. Since then, I’ve coached aspiring and emerging women globally on strategies to transition into entrepreneurship and grow. In five words, how would you describe yourself? God-fearing, leader, wise, strategic, and enterprising. Your business is aimed at helping high-performing women transition into entrepreneurship, how do you achieve this? My ultimate goal in coaching/mentoring women to transition into entrepreneurship and grow their businesses is for my clients to be satisfied with my services. Survey results and testimonials are a great measuring tool. Coaching effectiveness is contingent upon if I’ve helped a client to accomplish her own goal(s) that she has set for her business. Helping women to succeed in establishing and growing their businesses is largely dependent upon the women themselves and how they apply my instruction. When women start bearing fruit in their businesses in areas they did not prior to my coaching, that is a great indicator that the coaching was effective. Sometimes, clients think they need only business strategies but walk away with life strategies that help them overcome obstacles that affected their business. Some common obstacles I’ve identified are fear, a poverty mindset, lack of self-confidence, and/or a lack of clarity of their purpose. As needed, I deal with root issues that will affect business success. You are an official member of the Forbes Coaches Council. What does this mean for you and your business? The Forbes Coaches Council is an invitation-only organization for leading business and career coaches in the U.S. To my knowledge, there are less than 500 of us presently that have been chosen. Being an official member means that I have been vetted and recognized by the prestigious and world-renown Forbes brand as a thought leader in my field of expertise. Although I have worked very hard to earn this distinction, I am very humbled to be a part of the Council. 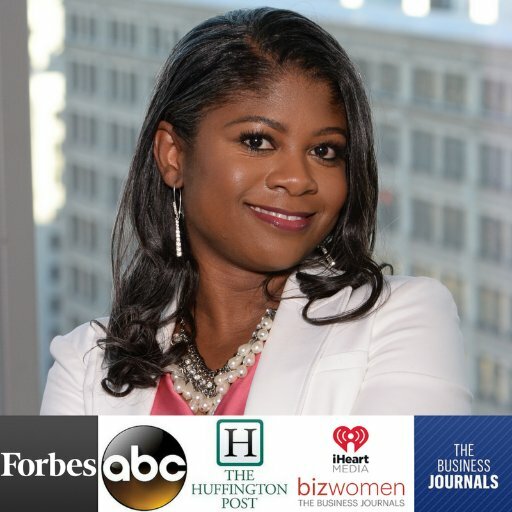 This also means that I get to impact more aspiring and emerging entrepreneur women with the articles that I publish on the leadership channel of Forbes.com. How do you plan to impact Africa? I have an unexplainable affinity for the women of Africa. For the readers who understand prophecy in the biblical sense, from approximately 2005 until recently, I’ve had several ministers prophesy to me about my calling to Africa. My first international client in Africa was a woman from Namibia in 2014. In 2016, I was selected by the Tony Elumelu Foundation as a mentor to emerging women entrepreneurs in Uganda and Kenya. In November 2017, I will be presenting my research on entrepreneurship at the International Entrepreneurship and Enterprise Development Conference in Cape Town, South Africa to help shape policies in Africa and around the world in the field of entrepreneurship. My research will help universities, non-academic training organizations, business coaches, and anyone within the global entrepreneurship ecosystem to identify trends and develop best practices to train and equip aspiring and emerging entrepreneurs around the world. Also in November, I will speak at a women’s entrepreneurship conference and then host my first international book signing of my 3rd book: Own Your Brilliance! – A Woman’s Guide to Hiring Herself in Cape Town, South Africa. I will also introduce my new coaching program exclusively for aspiring and emerging women entrepreneurs on the continent of Africa, expected to begin in January 2018. I expect to coach women in Africa on an ongoing basis and at some point partner with organizations and government entities in Africa to develop entrepreneurship and leadership training programs. We can’t wait to partner with you Tamiko!